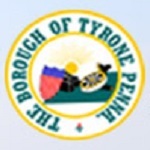 TyronePA e-cafe - Tyrone Pennsylvania Community Forum • View topic - Unstoppable! Board index ‹ Our Community ‹ Community Discussions ‹ Unstoppable! Anything in our community you would like to discuss? Post it here. I can't believe no one has posted their thoughts on the new flick. I realize it just came out, but surely someone who played a role as an extra can give us their take. The Altoona Mirror has been running quite a few stories lately about the film and Tyrone. You might say "putting us on the map". The only problem with the Altoona Mirror stories are the comments that usually follow any story about Tyrone. Not too flattering. I guess us Tyroners are not well thought of in the surrounding areas of Blair county. Jealously, I would think?? We're famous! Anyways, "Unstoppable", get on board! I finally got to go see it tonight here in Western NC! I've been trying to see it since it came out but never made it before it left our cinema so I had to drive to the next town over....lol. I loved it! Especially when I recognized the places where it was filmed in Tyrone....not far from where my grandparent's lived on Columbia Ave. I sat on the edge of my seat for the whole movie, biting my nails and bouncing my leg up and down because of all the suspense. I'm sure everyone around me thought I was nuts. The only thing that p.o. 'd me was the credits. I stayed (the only one who did, btw) to read every word hoping to see the normal....."and we would like to thank the wonderful people of Tyrone, PA......." but noooooooooooooo, the only town mentioned was Pittsburgh.......wth???? What a letdown - this film finally made it to the top of my Netflix list but I found it closer to unwatchable than unstoppable. The acting outside of Denzel was pretty weak and this was far from Denzel's best effort, IMHO. Just checked RottenTomatoes and this flick currently weighs in at 87%. Wifey and I gave it a 2.5 out of 5 stars. Maybe if I had a handful of Middleswarths, a hot hoagie from EE, and a cold Iron City (or 2 or 3) it would of gone better.